The new Radian Album "On Dark Silent Off" on sale now! The Children´s Opera "Der Blaue Autobus" by Martin Brandlmayr with poems of german writer James Krüss, a Production of Taschenoper, Vienna , in collaboration with Jeunesse and Elbphilhamonie, Hamburg will be played for the first time at Konzerthaus Vienna on October 25th and 26th 2014. New concert dates see "On Tour"
Fennesz "Bécs" will be released on April 28th, 2014. The track "Static Kings" is featuring Martin Brandlmayr on drums and Werner Dafeldecker on doublebass. "Radian meet Mats Gustafsson" at E-Werk Freiburg, Germany, 17th of january 2014. You can hear this concert on national radio stations throughout Europe. 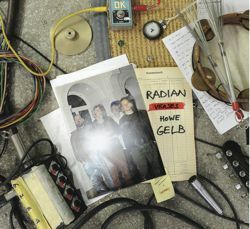 "Radian meet Howe Gelb" at FM Riese Festival on November 24th 2012, presenting first results of their collaboration. Radian and Howe Gelb are working on a record to be released 2014. More details soon. "Till the old world´s blown up and a new one will be created" by Martin Brandlmayr, Werner Dafeldecker and Christian Fennesz is rereleased on vinyl by berlin based label M=Minimal. Radian are contributing a new track for the anniversary compilation of the wonderful festival "Electrónica en Abril" in Madrid. Watch a preview here. After 7 years of silence Trapist will release their third album "The Golden Years" on Staubgold late spring 2012. it will be available as cd, vinyl and digital. Stefan Nemeth left Radian summer 2011. For forthcoming live performances and future projects, the current line-up of Radian consists of Martin Brandlmayr, John Norman and Martin Siewert. A webshop will be online on this website soon! 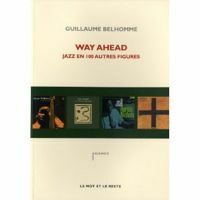 Way Ahead : Jazz en 100 autres figures by Guillaume Belhomme a chronological look from Pee Wee Russell (b 1906) to Matt Bauder (b 1976) was released recently. a chapter of the book is devoted to the work of Martin Brandlmayr. The titletrack of the album "Sleepwalkers", co-written by David Sylvian and Martin Brandlmayr, was released fall 2010 by Samadhisound. A wonderful quartet recording by Otomo Yoshihide, Sachiko M, Axel Dörner and Martin Brandlmayr was released by Neos records fall 2010 . It´s a double album with 2 tracks on each cd. The album (sacd) provides both 5.1 and stereosound. Radian are planning a tour in the United States end of may 2011.